Our cruise accident lawyers have extensive experience representing victims of injuries at sea involving cruise ships and other vessels, including both passengers and crew members. Achieving successful financial recoveries for those injured in cruise ship accidents is very different from typical personal injury claims. A maritime personal injury claim depends upon the specific knowledge of the laws governing maritime matters. Such cases can be difficult due to the unique advantages the cruise ship companies have historically gained through the fine print on the passenger ticket contract, the arguments that American courts have no jurisdiction, and the general denial of any responsibility to provide care for the sick and injured. Our cruise accident lawyers have a proven track record of overcoming these issues to gain maximum recovery for our clients under the law. The cruise lines must exercise reasonable care to furnish aid and assistance as ordinarily prudent persons would render under similar circumstances. They are responsible for the health, safety, and well-being of the passengers and crew. Our cruise injury lawyers have tirelessly and effectively fought to preserve the rights of those injured at sea. We have enjoyed great success in litigating on behalf of cruise accident victims. This is a unique area of the law because you are dealing with incidents which occur in foreign countries, which raises issues regarding personal jurisdiction; that is, whether a court in Florida has power over a foreign defendant. Nonetheless, every victim has rights, and we do our best to protect them. Our cruise accident law firm has won verdicts in a number of landmark cases that have helped to create case law that expands, protects, and preserves the rights of cruise accident victims. Another thing that distinguishes us from other firms is that we actually prepare and try the cases we handle. We do not advertise on the web to attract new clients who are then farmed out to another law firm as a referral. We diligently prepare our own cases for trial. We are often able to achieve successful settlements for our clients prior to trial, but we are always ready and prepared with outstanding evidentiary exhibits and knowledge to not only bring the case to trial, but to prevail on behalf of our clients. If you have been injured in a cruise ship accident, it’s important to speak to a cruise accident lawyer immediately. We will take the time to give your case the personal attention it deserves, and advise you relating to the rights that you have under the law, and regarding the statute of limitations-how much time you have to file suit after an accident—as it pertains to your particular case. Do not accept less aggressive representation when it comes to your legal rights after a cruise ship accident. It is important to understand that our cruise accident lawyers work on a contingency fee basis as regulated by the Florida Bar. This means that you do not have to pay a single penny unless and until we make a successful recovery on your behalf. 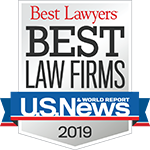 Our firm is AV-rated, which means that in confidential questionnaires, our colleagues and members of the bench have observed our work and rated us among the best in our field for legal ability and for maintaining high ethical standards in all we do. Contact a cruise accident lawyer right now for a free consultation and let us take the opportunity to answer any questions you may have about your rights and how to enforce them. Great company with outstanding service,everyone there is friendly and helpful. Thank you so much Dr. Alsina and all team.